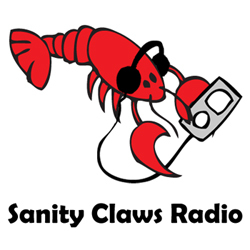 Sanity Claws Radio – E3 2015 Wrapup with Friend of the Show Johnny! It’s an ultra long show as we talk about the news from E3 with Friend of the Show Johnny in this episode of Sanity Claws Radio. Scotty, Karen, Steve, Jon, and Friend of the Show Johnny take some time to reflect on the new from E3. We talk about what we’re excited about, what we’re mild on, and the things that just left us cold. Also, Johnny drives across the country, Steve gets epic, Scotty rekindles an addiction, Karen catches up on Adventure Time, and Jon splats it up. And finally, we finish off the show with a wild round of I Can Top That. It’s a super long one. Sit back, grab a beverage, and enjoy! ← Lobstertank #24 – Badger’s Origins Report!